Come join us as we navigate a journey to create healthy family, spiritual health, education, and awareness. It was January 10, 2018 and we were about to let out one of our biggest secrets yet… Jeremy and I were 11 weeks pregnant! However, if you haven’t been following us for very long, Jeremy and I both have achondroplasia, a genetic condition that causes the most common form of dwarfism. In simple, scientific terms we both have an average sized gene as well as an achondroplasia gene. The achondroplasia gene is dominant and it only takes one gene to have the diagnosis. Receiving more than one gene would be a lethal death sentence. When Jeremy and I wanted to conceive, we knew there would be some risks we’d have to face and some 50-25-25 statistics. There was a 50% chance that either one of us would pass down the achondroplasia gene while the other passed down the average gene, thus having a baby with achondroplasia. There was a 25% chance that neither one of us would pass down the achondroplasia gene and instead, we’d both pass down the average sized gene, making our baby grow to average height. The final 25%, we would both pass down the achondroplasia gene, creating a double dominant scenario or homozygous achondroplasia, which is lethal to the baby. These babies are either stillborn or don’t survive long outside of the womb. Genetic scenarios for 2 people with achondroplasia trying to conceive. ﻿Before Jeremy and I got pregnant, we decided that no matter the outcome, we were going to see our baby through to full term. We knew we could possibly be pressured to terminate if it was double dominant and for us, that wasn’t an option. As the medical field has advanced, genetic testing can be done as early as 10 weeks through a simple blood test. These tests have become increasingly popular as gender can also be revealed. We were told that there is a test that can now determine achondroplasia, so on Wednesday, January 10, 2018 we went to our appointment with the hopes of taking that test. We would then find out the diagnosis of our baby, tell all of our friends and the world, as well as how they could support us, in case we had a lethal diagnosis. We went to our appointment on Wednesday and found out that our plans of taking the blood test were not actually possible. Because I already have the achondroplasia gene, the blood test can’t decipher the difference between my gene and baby’s gene. It also can’t pick up the double dominant lethal condition. We would have to wait until we could go to UC Davis for our 20-week ultrasound and possibly do an amniocentesis. Jeremy and I left that appointment feeling really discouraged. Our plan of knowing a diagnosis to be able to tell people how to support us went out the window, and fear started to flood my mind. Jeremy and I were headed to a conference hosted by the organization I work for, Iris Global, in Fremont, CA. Before we left, we decided we needed to tell some of the community around us that we were pregnant. We told our dear friends and we told Jeremy’s revival group at school… 65 of the most encouraging and celebrating people I have ever met. I have never been so scared to tell a group of people something so personal and vulnerable, knowing that we could be getting our hopes up for what seemed like nothing, and this baby could be with us for only a short time. Afterwards, I didn’t know if I felt more encouraged or more gripped with fear. However, as I was walking out of the room, a student came up to me and said, “Before I came to class today, the Lord told me I needed to tell someone wearing a blue coat, not to be afraid to get their hopes up.” I smiled, thanked them, and walked away wearing my blue coat. That was probably just coincidental. I got to my car to drive home so we could go to the conference in order to “receive” and “fill our heart tanks,” as well as hear from Heidi Baker, David Wagner, and Leif Hetland. We live in a prophetic community, where prophetic words are common and we believe that the Lord speaks through people. On that drive home, I had one of the most honest conversations I’ve ever had with the Lord. I told the Lord that I couldn’t wait until 20 weeks to find out if our baby would survive and the uncertainty would kill me. Not really knowing who David Wagner was, or even that he was prophetic, I told the Lord that I needed a specific sign that our baby was going to be ok. I needed to know that he or she wasn’t going die and as a confirmation or a sign, I needed a prophetic word from David Wagner during one of his speaking sessions. I honestly had little faith and didn’t believe the Lord could make this happen, because everyone knows that when you go someplace expecting or wanting a prophetic word, you usually don’t receive one. I also wasn’t sure I really wanted to be called out in front of a large crowd and those that I work with. No one at Iris Global knew I was pregnant and I certainly didn’t want my supervisors to find out in a room full of strangers, from someone other than myself. Fast forward to David Wagner’s first speaking session, Friday morning at 11am. I made sure that was a session we weren’t going to miss since I made a bet with the Lord and He only had 2 sessions to follow through. David started speaking and asked, “What do you do when you have a miracle that needs a miracle?” as he told a story about his little boy who needed a miracle. I could feel every ounce of fear bubbling up inside and the lump in my throat kept growing. I tried to keep shoving down all of the fear and wrestled with the little faith I had that the Lord would actually provide the sign I needed. 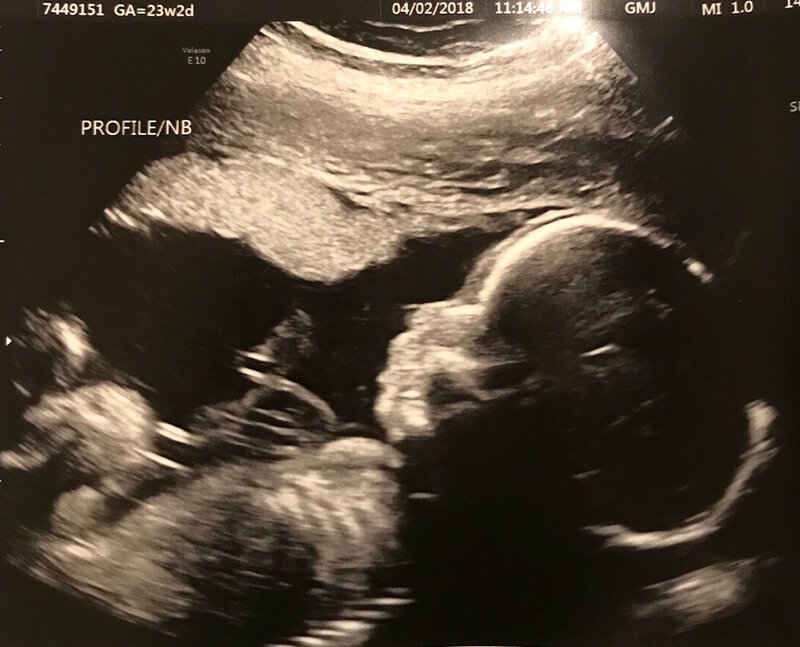 I was terrified that the little life growing inside of me might fall into the 25% category and we’d have to say goodbye as soon as we said hello. I was certain that I had a miracle that needed a miracle and I did everything I could to keep myself together and to stop the tears from streaming down my face as he spoke. David Wagner speaking at the Live to Love Conference in Fremont, CA. Jeremy and I could no longer keep it together and were both blubbering messes. We were completely overwhelmed by the goodness and kindness of the Lord. Overwhelmed that He would hear our prayers and answer such a specific request. Oh yee of little faith! Afterwards I looked around, wondering who from work was in the room, and who now knew or could guess our secret from our reactions to what was said... And go figure, a conference hosted by Iris Global, not a single person from Iris Global was present in the room. Our secret was still safe to tell our team on our own time. When the session ended, Jeremy and I went to the green room, to collect ourselves; I tried to splash water on my face, to not give away that I had been bawling my eyes out, and I waited for David to be done talking to my boss. I wanted to personally thank him for his word and just tell him how much it meant. I wanted to tell him that we were expecting and were dealing with some scary statistics. He told us that he was in fact talking about a pregnancy, but was careful with his words due to the public setting. He reassured us that this was our year for a miracle. Afterwards I told Jeremy what I had asked the Lord for in secret, only to find out that Jeremy also asked the Lord for a sign or confirmation that our baby would be ok. It was safe to say that the Lord erased our fear. We were confident that our baby was going to live and any doubt had vanished. Fast forward to week 20. This was the week that we went to the University of Davis to get a Level 2 ultrasound, where they could do some extra measurements and see how baby was developing, as well as receive genetic counseling about all the possible statistical scenarios. Right off we found out that we were having a baby girl and it honestly didn’t sink in for me until about 20 minutes later, after they had completed all of her chest measurements, which appeared “normal.” From my understanding, double dominance can mostly be diagnosed by a smaller chest cavity, too small for the heart and lungs to expand. All of a sudden tears started to stream down my face, putting an identity to this little human growing inside of me. We had initially planned on doing amniocentesis at this appointment, depending on what the findings were. After all of the measurements of her chest, heart, head, arm, and leg bones were all measuring as “average,” we decided not to do amnio. There was a small risk of miscarriage and nothing that seemed worthy of concern came to the surface to make us need any extra validation. We were told we were currently in the 25% chance window of having an average sized baby. We were then asked to come back at 23 weeks for a follow-up ultrasound. The next few weeks flew by. There was no need to worry, no need to be concerned, our 25% chance of double dominance was out the window… so I thought. Gender reveal with our closest friends. Week 23. It started the same as week 20 and everything was kept consistent with our appointment. Same time of day, same room, same ultrasound machine, and same ultrasound technician… everything was uniform to rule out any outlying possibilities if the results were to change at this appointment. I’m the type of person to research and I would say I know A LOT about dwarfism, so I knew what to look for when measurements were being made. I silently watched the technician measure baby girl’s head, which measured at 24 weeks, and her humerus and femur bones, which were measuring at 21 weeks. I saw signs that her growth was slowing down and sat awkwardly while the technician couldn’t say a word. I knew she was showing signs of achondroplasia, but I didn’t know well enough what to look for if it was double dominance. The doctor came in to discuss the findings, although she wouldn’t say anything with certainty. She wouldn’t tell me if our baby had achondroplasia, or if she was average, or even if she was double dominant. We talked about amnio and the risks involved and were once again told that it could lead to preterm birth. We were also encouraged to do amnio soon if we were going to do it. It felt like there was pressure to know, in case baby girl was double dominant and we wanted an exit route to terminate, before we were too far along and that was no longer an option. We were left alone to think through everything in order to make a decision, although termination was never an option. As much as we were hoping for a scientific diagnosis to back up the prophetic word we received, we decided that the prophetic word from David Wagner, was enough confirmation. The Lord spoke loud and clear; He said we’d get our miracle this year. We would get a special delivery from heaven and that was better than any genetic test or potential diagnosis from a doctor could tell us. We were told to come back again at 30 weeks. Week 23 Ultrasound of Baby Girl. I was then discharged from UC Davis’ care and was able to continue the rest of my pregnancy with my doctor at home in Redding. We were ecstatic. Having a daughter with achondroplasia was in our comfort zone. It’s what Jeremy and I knew and we couldn’t be more excited for her to go through life, having parents that are just like her. She wouldn’t be alone. To be completely honest, pregnancy put me through the ringer. Besides the extra ultrasounds we went through and fear of the unknown, I had symphysis pubis dysfunction, one of the most painful things I’ve ever experienced. It prevented me from lifting my legs more than a couple inches and we had to move to a single story apartment as stairs became too much for me to handle. I got a kidney stone, which I’ve had before and have been told is comparable to childbirth. I was diagnosed with gestational diabetes, had debilitating sciatica, and by the end of my pregnancy had polyhydramnios and carpel tunnel. My doctor scheduled my C-Section for 37 weeks, with the option to push it back if I could handle it. However, by 36 weeks, I was starting to have contractions and I just couldn’t go any farther. It was all I could do to make it to 37 weeks, 1 day, so on July 8, 2018 at 8:56am, Lily Grace entered our world, weighing 6lb 4.4oz and was 17.5” long. 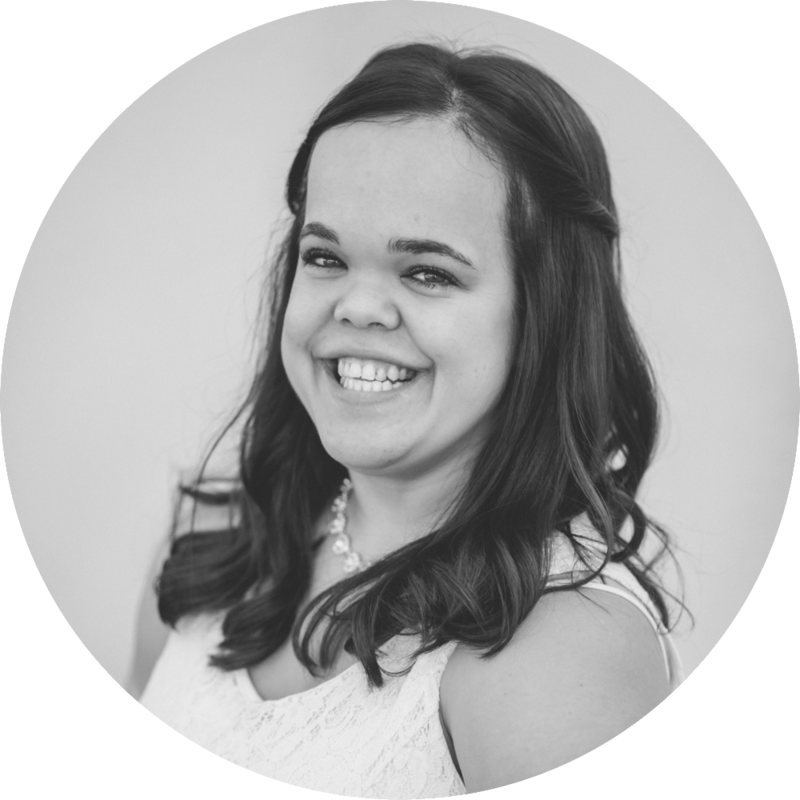 Lily was born with achondroplasia, at least from what we could tell. I kept asking Jeremy “Is she little? Is she little?” and he reassured me that she was. Although Jeremy was the only one that would confidently diagnose her. She was healthy for the first 12 hours of her life, until things took a turn for the worse and we had to hold onto that prophetic word more than we could’ve ever imagined. We were then faced with the reality that our miracle needed a miracle. Lily Grace needed a miracle and we needed the whole world to pray… but that is a story for another time. I want to leave you with this: If you have any doubt in God’s ability to pull through, I dare you to challenge Him on it. He’s always listening and He always answers. It just isn’t always how we expect it to look. I asked for a particular sign, not believing that He would speak so clearly, because I’ve never experienced a response in that way from Him before. However, He met me where I was at, and He will do the same for you. And if you need a miracle, or have a miracle that needs a miracle, may this be your miracle year. May the goodness of the Lord that was so evident to us throughout our journey, be the same goodness that follows you on yours. You are strong, you are brave, and I fully believe, as David Wagner says, if you are walking through something difficult, you are walking through miracle territory. Get ready... The miracle is yours. Apr 19 Dwarfism: A Mistake?